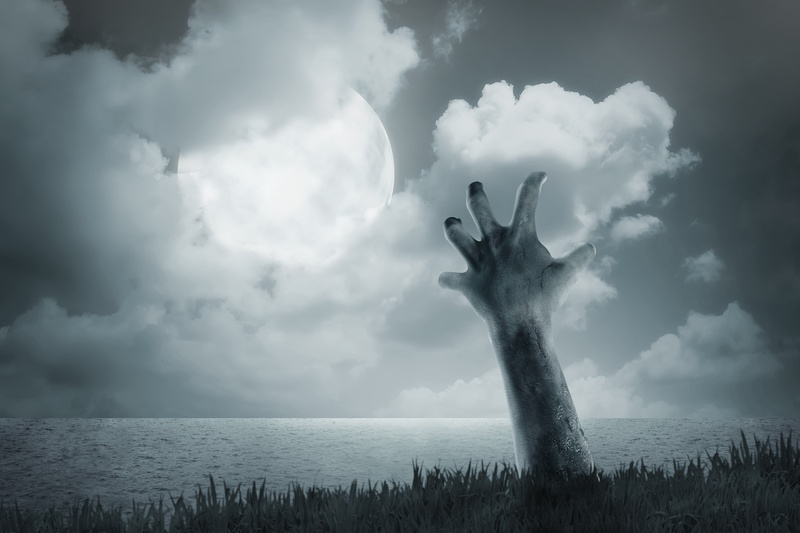 Is your training content suffering through the zombie apocalypse? Many corporate training materials all over the nation are experiencing gruesome symptoms of the living dead. They’re cold, uninviting, difficult to work with, and inert- and they’re inhabiting your training program! They wait patiently to prey on unsuspecting new employees at every corner. How do you know if your training materials are troubled with this grim zombie virus? It’s easy, just look for these common symptoms and if your training content is experiencing any of them, run for the hills to find the cure! It’s inaccessible and unresponsive. Like the walking dead, training content suffering from this virus are unresponsive and unintuitive. They’re lifeless, they aren’t updated, and they remain locked away in print. It’s unsafe. Of course when you see a zombie you want to run away, because they aren’t safe! Just like zombie training content, which can be shared, copied and posted by any past or present employees, without your leadership ever knowing. It’s predictable. Without updates, your training content sits on a desk or shelf, deathlike. It grows older and less relevant by the day. It’s a predictable attack, that’s slow and draining just like a zombie attack! It’s apathetic and expired. Your training content is cold and unrelatable to your audiences. It’s living in another decade becoming more and more uninteresting to your employees. What are the causes of Zombie content and how can you prevent it? What is the cure and how can you get it? All these answers and a few other, more tell-tale symptoms of the Zombie Training virus are revealed in our Survival Guide. It’s time to bury your Zombie Training content, for good!